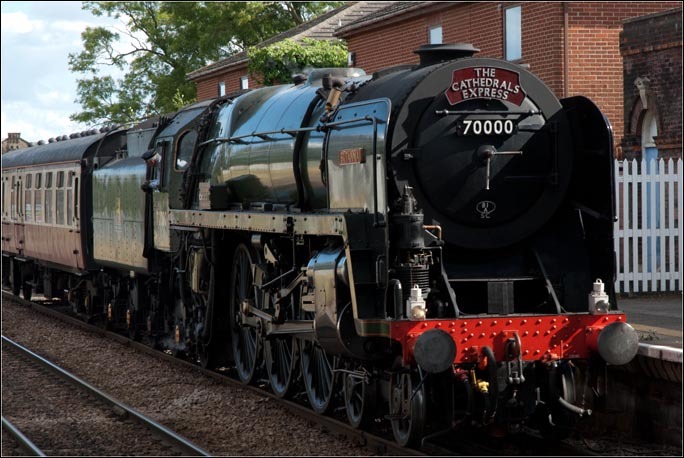 BR Britannia Class 7MT 4-6-2 no 70000 named Britannia also came to March on a Cathedrals Express from Alresford to Ely on Thursday 7th June 2012 in very wet weather. The video below is of Britannia on the 11th September 2012 at March railway station. You can also view this video in the full sreen. Use the button on right of the video. To return from full screen press the same button. March is in the flat fens, were farming was the main industry till the railway came. The GER railway line ran from Ely to March and then to Peterborough and is still open.